The respect Rory McIlroy has for Ernie Els has been made clear by the appearance of the Northern Irishman in the BMW SA Open this week. McIlroy typically starts his year in Abu Dhabi, but Els convinced the world number two to open his 2017 campaign in South Africa instead. The result is an enormous fish in a small pond. Charl Schwartzel, Branden Grace and Louis Oosthuizen are not bothering to tee up on home turf for their national Open, so McIlroy is a general 2-1 to triumph at Glendower Golf Club on Sunday. The opposition for McIlroy is weak, but there are several reasons for avoiding the super-skinny prices about the favourite. Firstly, the star attraction lacks experience of playing in South Africa. He made his debut there in 2007, opening with an 83 in the SA Open and missing the cut by four shots. He returned 12 months later and finished third. Since that event, McIlroy has made only one start in South Africa. He was tailed off in last place after two rounds of the 2009 Nedbank Challenge before withdrawing. On his Glendower GC debut this week, playing at altitude in the Highveld region and on kikuyu grass with which he is unfamiliar, McIlroy is certainly not in his comfort zone. Another significant negative is that McIlroy is using a new set of woods and irons in competition for the first time. Despite performing well in his early dabbles with a TaylorMade driver and woods in the wake of Nike quitting golf, McIlroy was lured by Callaway over New Year. The Callaway GBB Epic Sub Zero driver will be brought into play by McIlroy tomorrow, along with Callaway Custom Apex MB irons. He will use Titleist wedges, a new Odyssey putter, and the Titleist ProV1x ball. All Nike equipment has been consigned to the dustbin. The class of McIlroy may shine through and he could overcome the handicaps mentioned, but there is no value in his odds. Others have plenty of experience of Glendower, which hosted an annual Sunshine Tour event (BMG Classic) before becoming the SA Open venue, and will be supremely comfortable in the conditions. A much better option is the best South African player in the field. Brandon Stone has lived in Gauteng most of his life and knows Glendower intimately. He won this tournament by two shots there 12 months ago, bravely claiming a maiden European Tour title, and his second victory came last time out in the Alfred Dunhill Championship. Stone was awesome in the Alfred Dunhill, destroying the field by seven shots and upsetting short-price favourite Schwartzel. The cocksure youngster, a rising star with a fearlessness which should mean a glorious career, can gun down another big name this week. Stone fired a 61 in practice at Glendower on Monday. Second to Stone last year was his pal Christiaan Bezuidenhout and there is every chance of the pair jostling together on the leaderboard again. Bezuidenhout won at Glendower on the Big Easy Tour (the Sunshine Tour's version of the Challenge Tour) in 2015 and practises a lot there. Bezuidenhout was victorious on the Sunshine Tour for the first time in October, winning the Sun Fish River Challenge by two shots, and the talented 22-year-old looks ready to threaten a European Tour breakthrough this week. It did not take long for Challenge Tour graduate Thomas Detry to make an impression in the higher grade – the 23-year-old Belgian finished third in the Alfred Dunhill last month – and this stylish player can make further waves on his return to South Africa. Detry missed the cut by only a shot last time out on his Hong Kong Open debut, which was a solid effort at a tight, quirky course where aggressive youngsters typically shoot cricket scores on their first visit. The weekend off was certainly easy to forgive. This boy looks the business and is worth chancing at a price in a field seriously lacking strength in depth. Englishman who made Ryder Cup debut last year, won the 2015 SA Open at Glendower, putting superbly. Winless for almost 15 months. South African is a regular contender in these sort of events and was fourth in the Alfred Dunhill last time out. Has not won for almost three years. South African plodder remains winless on the European Tour, having blown several chances. Has never won on the European Tour and turns 44 next month. Excellent current form, though, means Southampton man has strong place claims. Like Detry, the Frenchman has shown enough on the Challenge Tour to suggest he could be a serious European Tour dangerman. The Welshman has been in terrible form and posted only one top-ten last year. Has three months off revived the former Ryder Cup star? Course overview Glendower replaced another Ekurhuleni course, Serengeti Country Club, as the South African Open venue in 2014. Glendower also staged this tournament in 1989, 1992 (as part of the 1993 season) and 1996 (1997). It is a highly ranked parkland layout which is one of South Africa's old classics - Bobby Locke famously winning the 1939 Transvaal Open there with a 'world-record' score of 265. Vijay Singh won the 1997 SA Open at Glendower. Extensive modifications were made to the venue before it returned to the big stage. 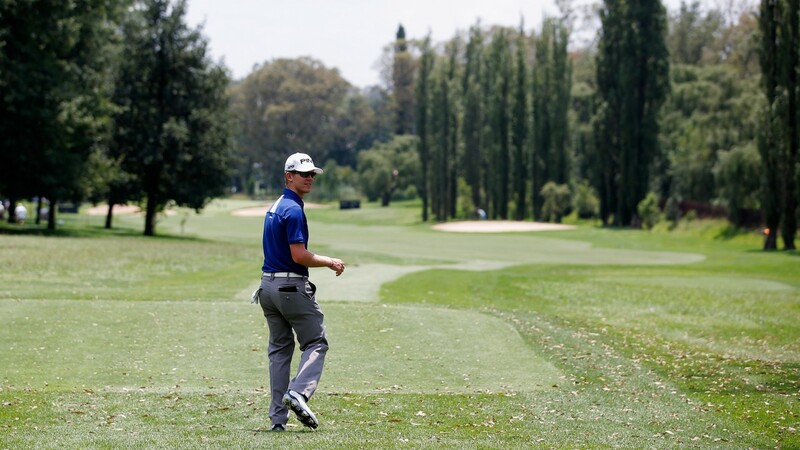 Glendower was home to the Sunshine Tour’s three-round BMG Classic from 2009 to 2014. Merrick Bremner won the latest renewal by a shot with a 204 total. The course has kikuyu fairways, lined with 64 bunkers, decent rough and plenty of trees. There are water hazards on 11 holes and Glendower is known for being a track which demands accuracy. The par-fives (the second, eighth, 13th and 15th) are not particularly long. Every par four and five is between 401 and 601 yards. Type of player suited to challenge Big-hitters Morten Orum Madsen and Brandon Stone triumphed in 2014 and 2016, enjoying soft conditions, and recent showers have made the turf soggy this week.